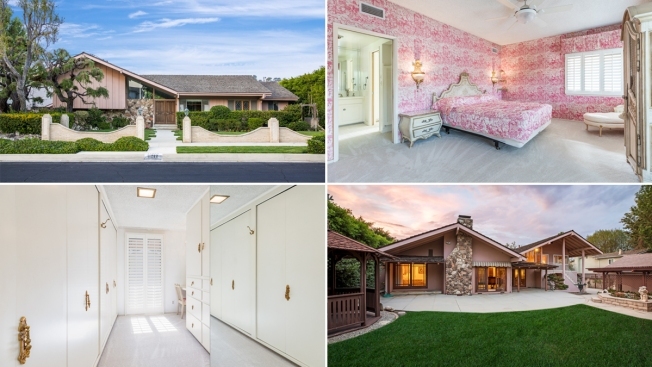 Here's the story... of who actually purchased "The Brady Bunch" house. David Zaslav, CEO of HGTV’s parent company Discovery, announced during a Tuesday call with investors that the network purchased the Studio City, California home and would be restoring it to its “1970s glory,” Variety reported. Lance Bass thought he had bought the home featured in the opening and closing scenes of "The Brady Bunch." He even invited Maureen McCormick, who played Marcia in the sitcom, over for dinner. The 'N Sync singer posted Saturday on Instagram his disappointment that the deal fell through saying he was "heartbroken" to learn a corporate buyer wants the house "at any cost." But once news of the buyer was revealed Bass wrote on Twitter, "HGTV??! Aw man. I’d be pretty upset if it were anyone else, but how can you be mad at HGTV?? My television is stuck on that channel. Kudos HGTV, I know you will do the right thing with the house. That was always my biggest worry. I can smile again." Realtor Ernie Carswell tells the Los Angeles Times for a story published Sunday that the property, which was listed for $1.885 million, received eight offers, which came down to two bids. At the time he declined to identify the potential buyers and says the sale is expected to close in about 10 days.